Beautiful Incentives: #WIN an #HP Touchscreen Laptop! #WIN an #HP Touchscreen Laptop! Introducing the most exciting giveaway of the season! Who is in need of a new laptop? I'm guessing a good majority of you would love to win this for yourself or your child! Now is your chance to enter! There are 2 ways to win, so be sure to read everything! 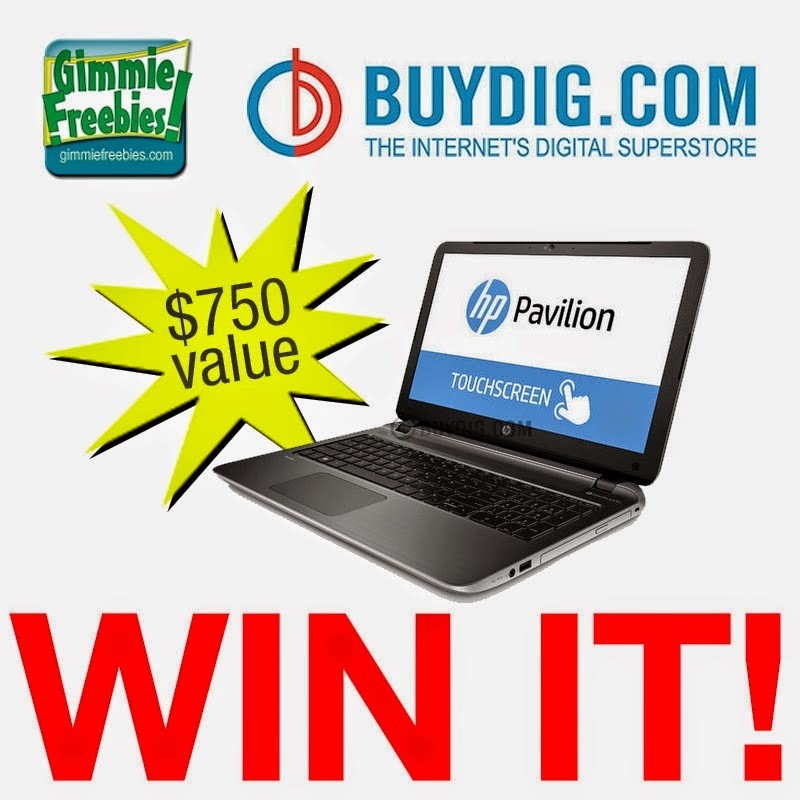 Win an HP Touchscreen Laptop ~ $750 value (Enter Daily, Thru 12/22) | Sponsored by BuyDig. This HP Pavilion Touch Smart Laptop provides all of the benefits of desktop, with the portability of a notebook computer. You don?t have to give up performance to be mobile, and now you don?t have to pay more either! Check it out at BuyDig.com! I highly recommend them, as well as this laptop. It would make a great gift! For further info read the HP Pavillion TouchSmart review! Get the best deal on an HP Pavilion Touch Smart Laptop at BuyDig.com! The price is SO low ? you?ll actually need to add it to your cart to see the price. PriceWatch.com, a site devoted to finding the lowest prices on consumer electronics, lists BuyDig.com as the lowest price on the internet! Looking for a computer? 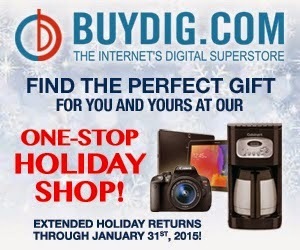 Check out BuyDig.com?s extensive selection of computers, laptops, 2 in 1?s, and tablets, including the HP Pavilion Touch Smart we?re giving away! Then head on over to enter and win! 1. #DigMyOrder ~ Winner every week! On Twitter? Purchase between November 10th and January 20th, follow @BuyDig, tweet your order number and a brief description of your purchase, include the hash tag #DigMyOrder, and BuyDig.com will automatically enter you in a weekly contest to receive a full refund on your order of up to $500.00! Looking for a laptop? Check out BuyDig.com?s extensive selection of computers, laptops, 2 in 1?s, and tablets, including the HP Pavilion Touch Smart that we?re giving away! 2. Win an HP Touchscreen Laptop from us! Through December 22, enter every day for your chance to win a HP Pavilion Touch Smart Laptop from BuyDig.com! The entry form is located below, and can also be found on every participating blog. Check them out for more chances to win! Except for selecting a product that you would like to own and leaving comment, all the other methods of entry are 100% optional (but are strongly encouraged - it?s a $750 laptop, guys!) It only takes one entry to win, but the more entries you complete ? the better your chances! Good luck! a Rafflecopter giveaway Terms: Winner will be chosen randomly on 12/22/14 and notified using the email given at registration. Winner must contact us within 48 hours (by Wednesday night - 12/24, 11:59 pm Central) to claim their prize, by sending an email. Failure to claim prize will result in forfeiting prize and another winner will be chosen and contacted, and will have 48 hours to respond. This will take place until a winner confirms. This randomly drawn sweepstakes is sponsored by BuyDig.com. Prize fulfillment is the responsibility of BuyDig.com. This contest is in no way sponsored or endorsed by Facebook, Twitter, Pinterest, Instagram or Google+. Entering to win means you agree with these terms and release any liability regarding these rules. This giveaway is in accordance with FTC guidelines. Good luck!